Photo courtesy of Dior Homme. A$AP Rocky is passing through D.C. on Sunday, January 20 as a part of his Injured Generations Tour, and we are all too ready to fend away the Sunday night scaries at The Anthem with this legend in the making. In 2019, can we all agree to leave rigid genre definitions behind? Now that we’re all on the same page, the stage has been set for the dynamic and memorable A$AP Rocky -- As one of the most ambitious rappers of the decade, A$AP Rocky consistently makes his presence known as a newsmaker across industries. Rocky’s persona is eclectic, energetic and engaging. He carries himself like a rockstar because that’s exactly what he is, regardless of his stakes over the hip hop genre. Rocky’s latest album, “TESTING,” is packed with effortlessly powerful collaborations; from FKA twigs to Skepta, plus an absolutely artful outro alongside Frank Ocean, this 2018 record packs a punch. Accented by these memorable features, this album showcases Rocky at his most thoughtful -- in songs like “CALLDROPS” with Kodak Black and “Kids Turned Out Fine,” tried and true gimmicks mixed with experimental samples advance Rocky’s storyline in ways that both keep listeners on their toes and guide them by the hand. Most recently, Rocky released a single called “Sundress,” bringing yet another enterprising sound to the forefront of new music. A sample of Tame Impala’s “Why Won’t You Make Up Your Mind?” served as the musical driving force of the single, as Rocky tells a story of heartbreak from love lost. The music video that accompanies the track brings visuals as psychedelic as the sample, with a style that perfectly encapsulates his artistic and avant garde point of view. A$AP Rocky in the Dior Homme Summer 2017 collection, shot by photographer Willy Vanderperre. The “Sundress” music video also showcases Rocky’s notable sense of style, yet another cornerstone of his multifaceted career. He has graced several haute couture campaigns, including his stint as the first person of color to face Dior Homme’s Summer 2017 campaign. 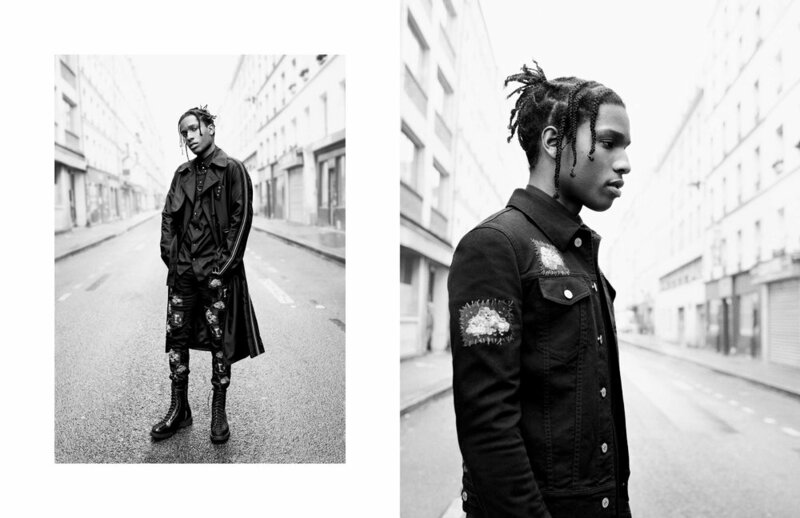 A$AP Rocky’s high fashion sensibilities compliment his persona, taking his reputation beyond that of a rule breaker, but rather, of a tried and true trend-setter. Opening for A$AP Rocky is Comethazine, a trap-centric rapper hailing from the trending SoundCloud charts. This is a show you will not want to miss, especially since Rocky has been dropping new music at shows sprinkled throughout this Injured Generation tour. Come through to The Anthem on Sunday, January 20 and see what this A$AP Rocky hype is about with us.